Oh man…Artfire. I don’t even know where to start with this guy. 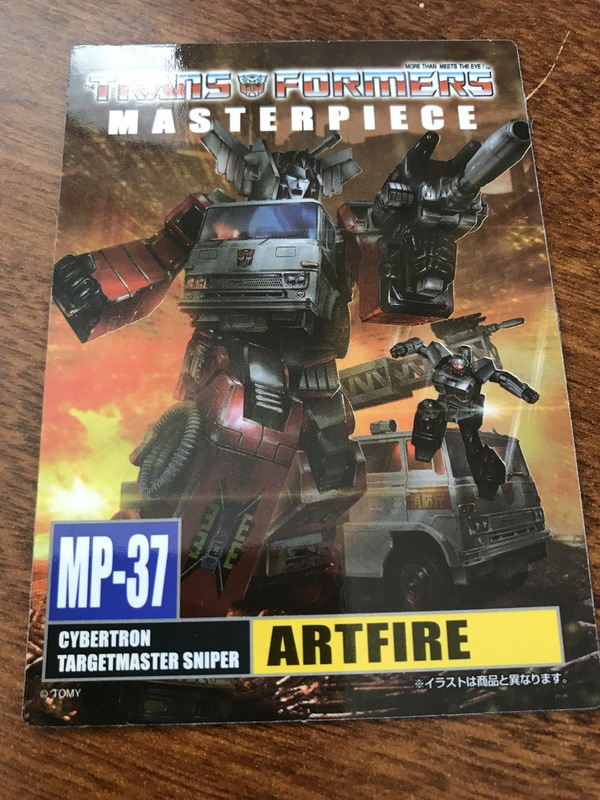 First of all, for those who aren’t familiar, Artfire started out as a Japanese-release only Target Master from back in G1. 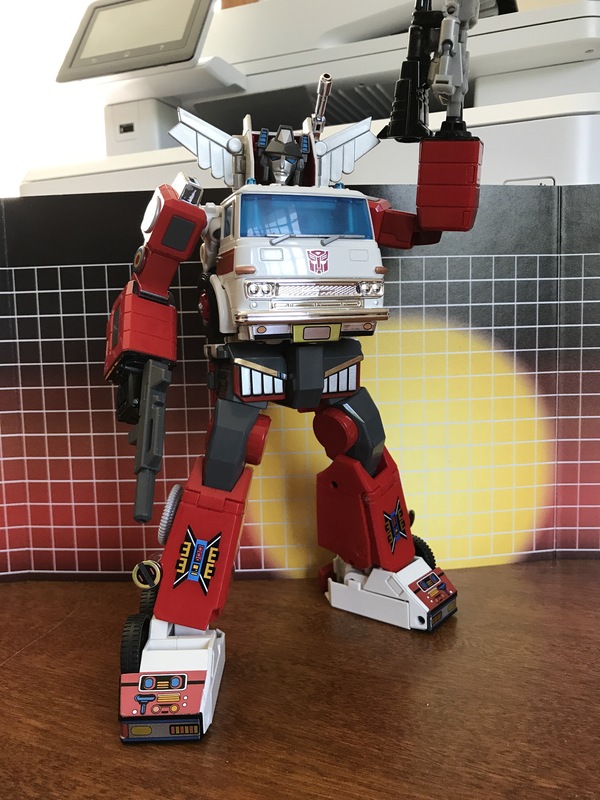 He was a repaint of Inferno. 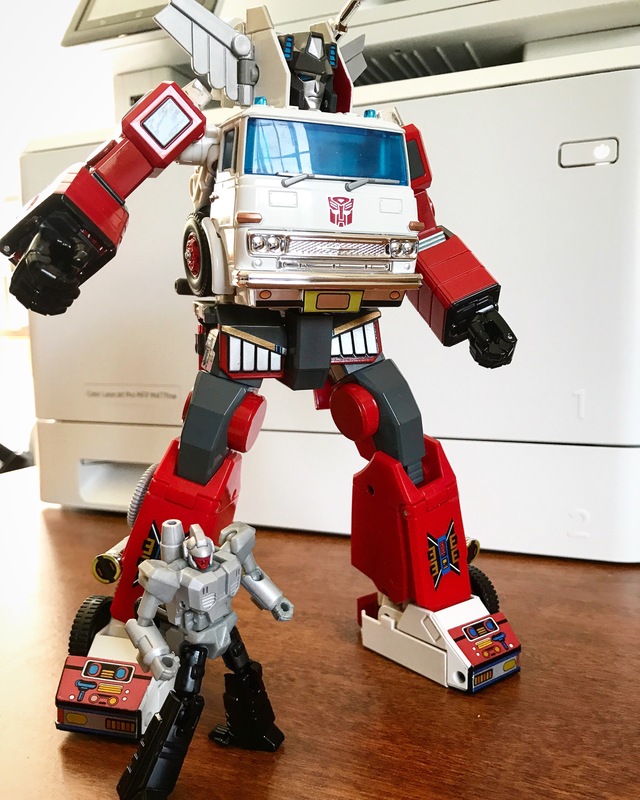 His G1 toy still commands crazy after-market money. 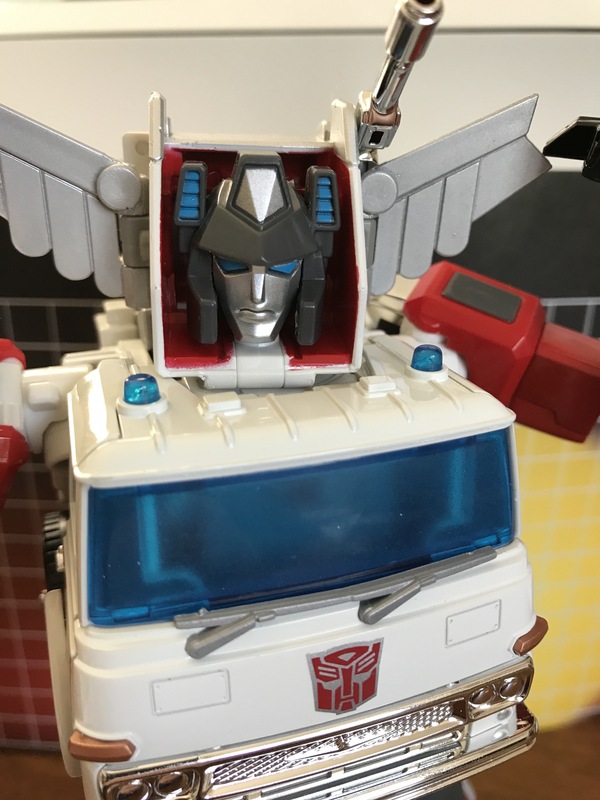 He was later released, again in Japan only, under Takara’s United/Generations 2012 line as an exclusive. This version also commands some impressive after-market money. 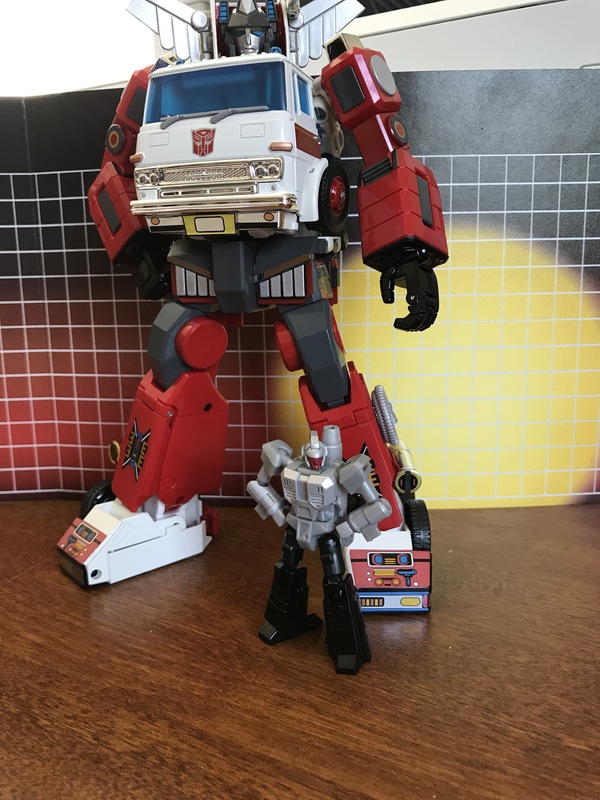 Finally however, we have a wide release (for the most part, you can get MPs anywhere online these days) of the big guy and woo-doggies is he a beaut. 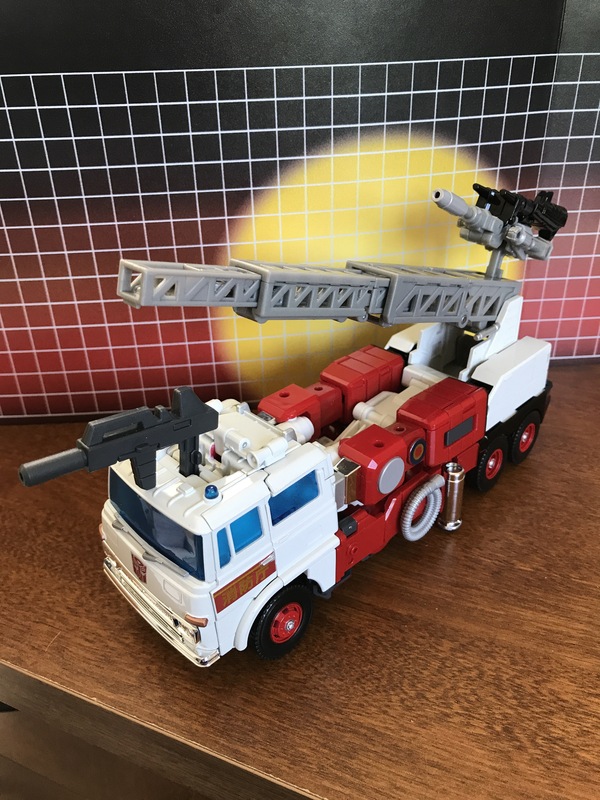 I’m not sure if its the color scheme or the awesome G1 Tampographed detailing, but Artfire has everything Artfire should have. INCLUDING his Target Master! 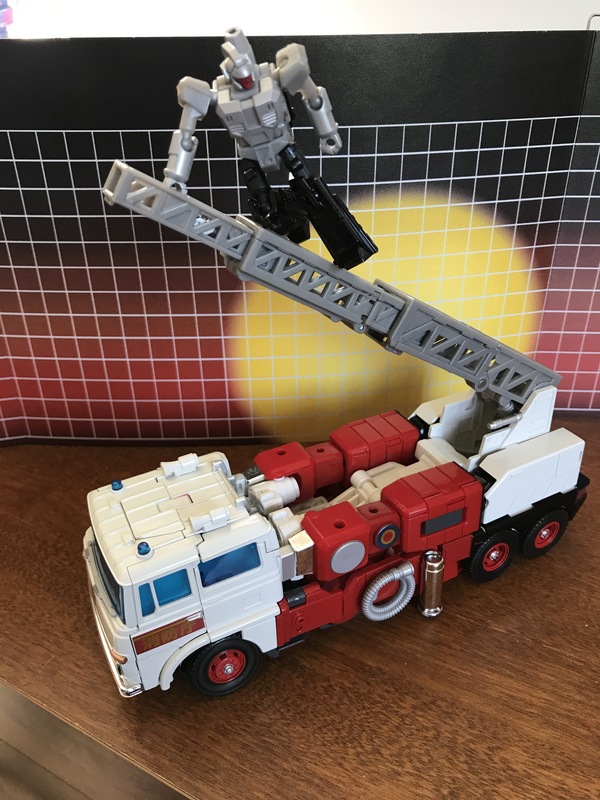 Yes, Artfire comes, as he should, with his partner Nightstick (you could also call him Sparks if you want…). 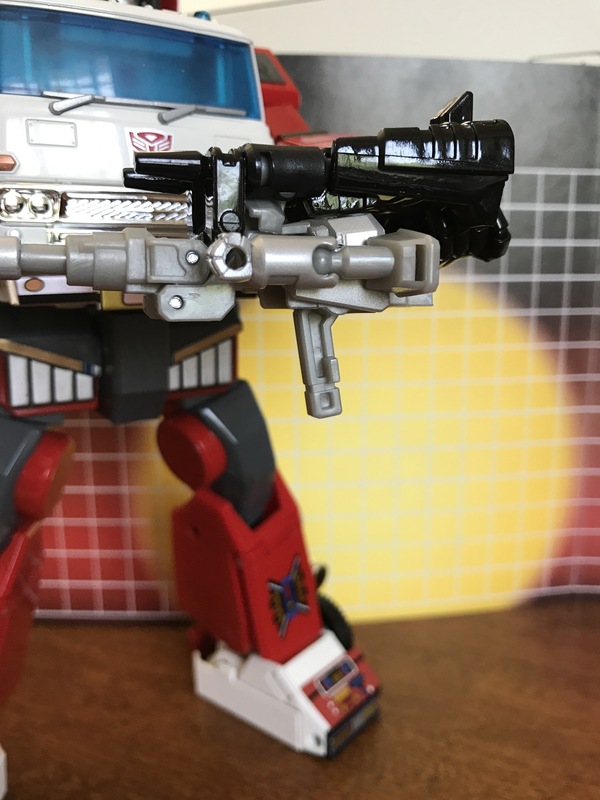 While he’s not the first MP Target Master, (Hasbro’s Rodimus Prime came first), Nightstick is incredibly well designed and features both a traditional handle, or can attached via the “hose clip” behind the hands so that he attaches to Artfire like the Target Masters do in the Japanese cartoon! 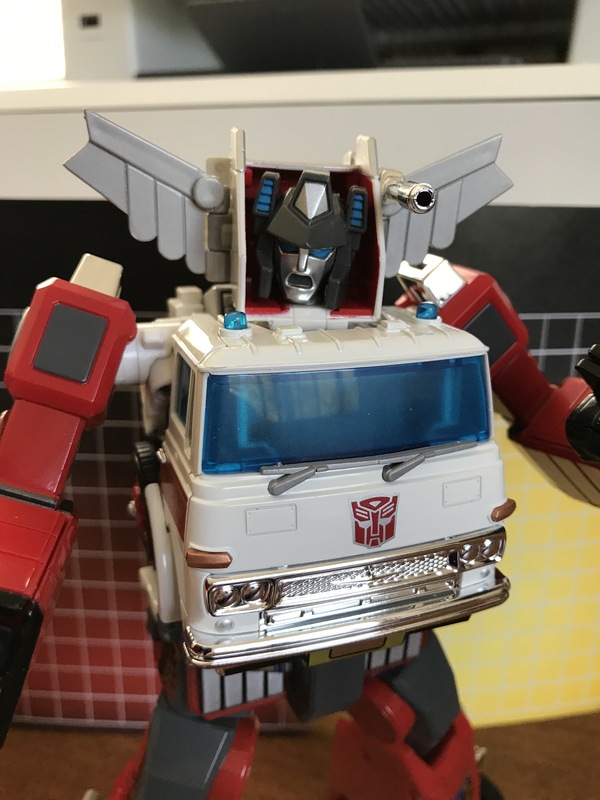 Artfire himself also comes with an alternate face (the same ‘yelling’ face as Inferno) and well as his “extinguisher rifle”. 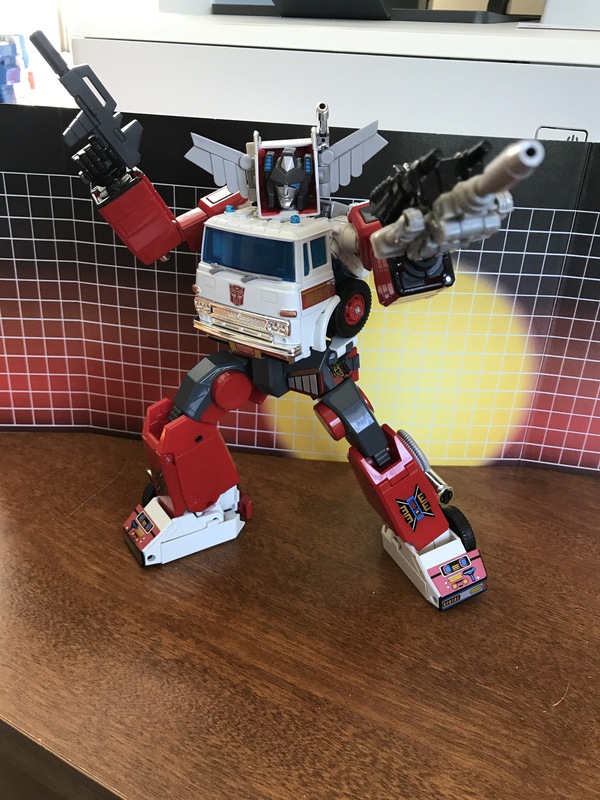 His mold is nearly identical to Inferno with a few small tweaks here and there, such as “hose clips” behind both hands. 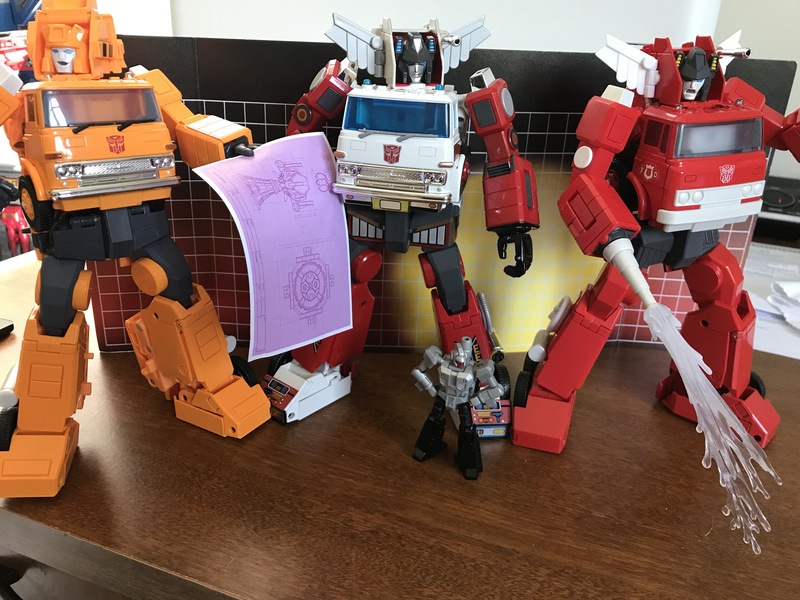 Seeing these guys together though, I really REALLY hope we get a Hauler at some point. 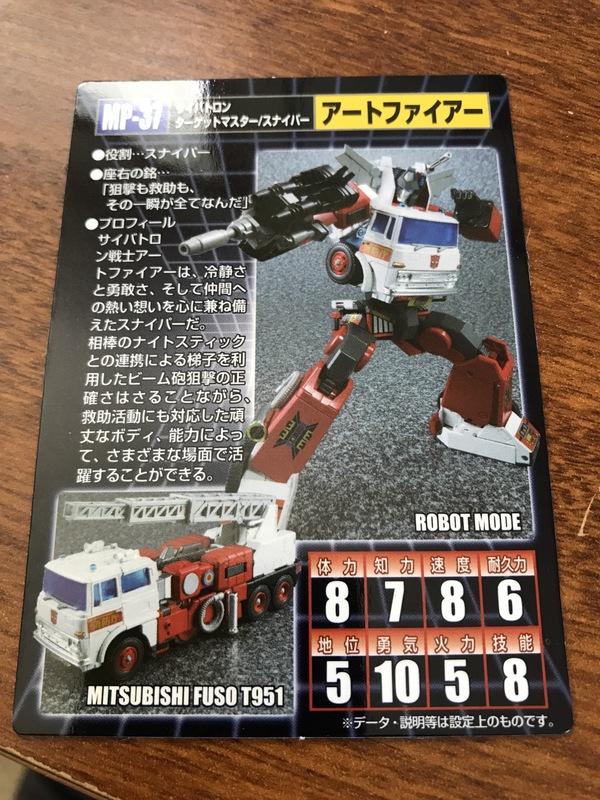 Naturally he does include his bio card, as with all MP toys. 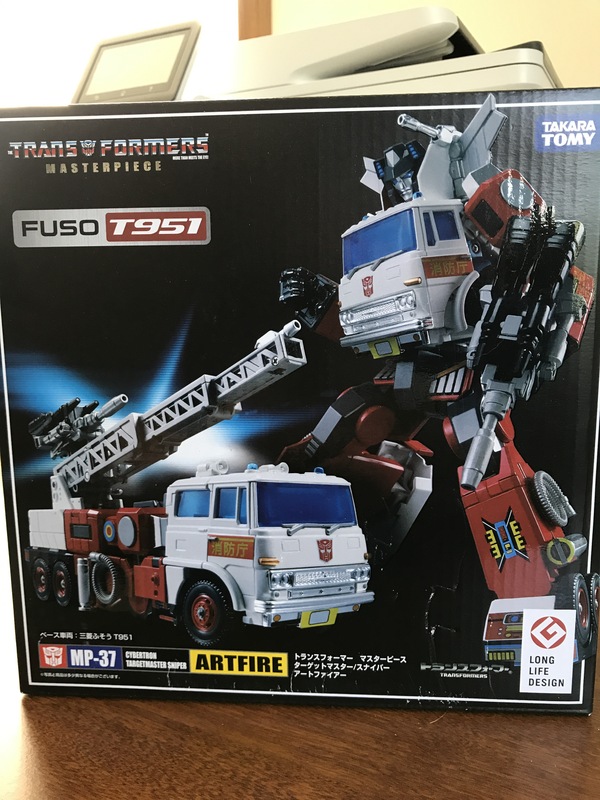 Overall Artfire is just a delight. 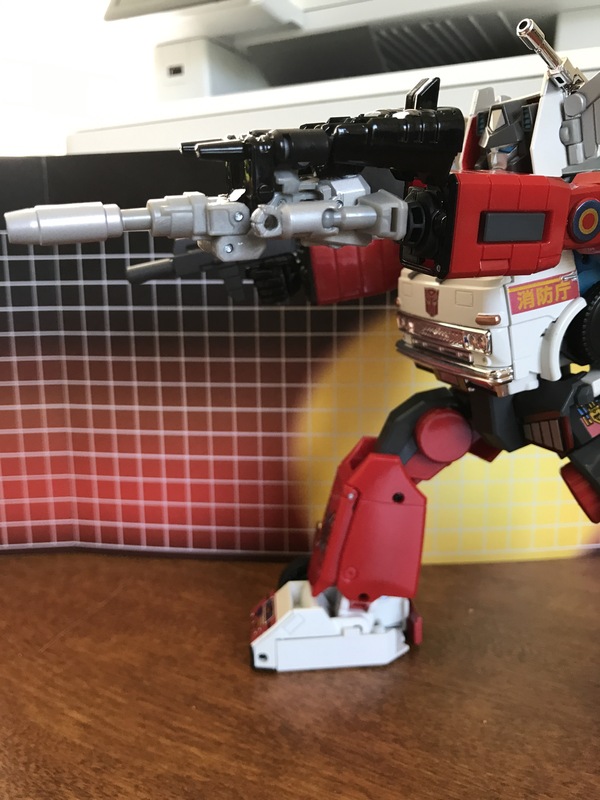 The Inferno mold is already a great design, and the inclusion of Nightstick and the G1 tampograph detailing just puts him at the top of the “must own” list for sure.